Our last day in Spain began bright and early. 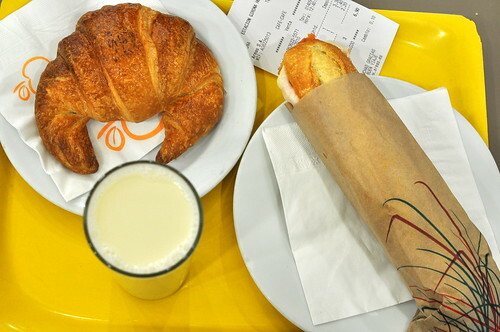 The Astronomer and I grabbed breakfast at the train station—a flaky croissant for him and a ham and cheese sandwich with a tall cup of orxata for her—before leaving Girona for the town of Figueres. The simple fare was just what we needed to get us through the morning. We arrived in Figueres an hour later, slightly groggy, but also very excited. We penciled in a half-day in the city to visit the Teatre-Museu Gala Salvador Dalí, a museum designed by the artist to honor his hometown. 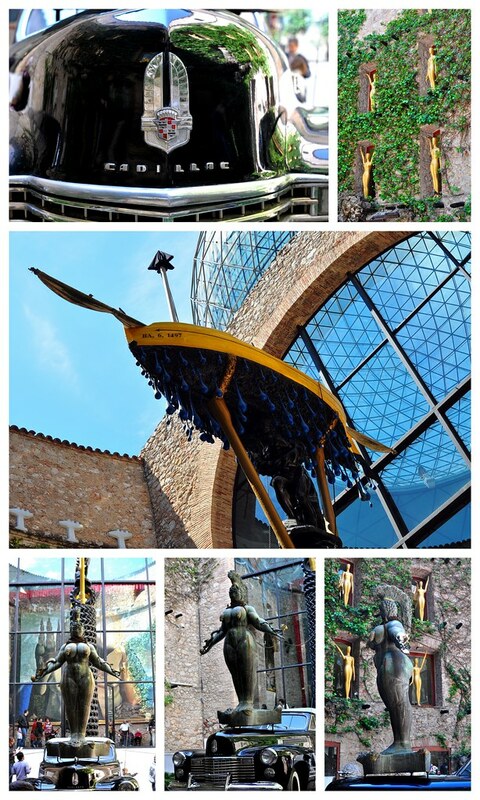 Home to hundreds of Dalí’s original works, the museum is a must-see for anyone visiting Catalonia. 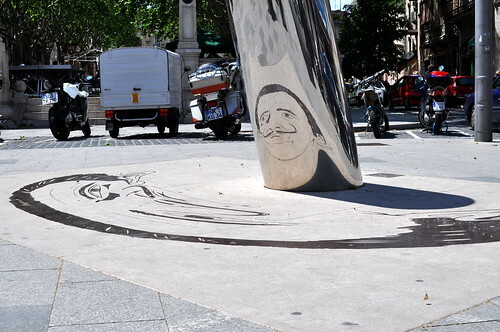 On our walk from the train station to the museum, we encountered a portrait of Dalí reflected onto a mirrored cylinder. It was definitely one of the coolest and most innovative public art pieces I have ever seen. 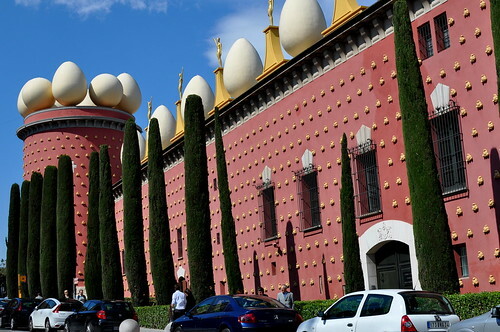 In true Dalí fashion, the museum’s facade was a spectacle. I couldn’t decide which element was more visually arresting—the giant eggs teetering around the perimeter or the gold Oscar-like statues holding down the fort. Or maybe it was the sky-high trees that were perfectly coiffed. Of course, the interior was even more fascinating. The Astronomer and I spent nearly an hour in the courtyard examining each element trying to figure out what the heck was going on. Our conclusion? Dalí was a mad genius! 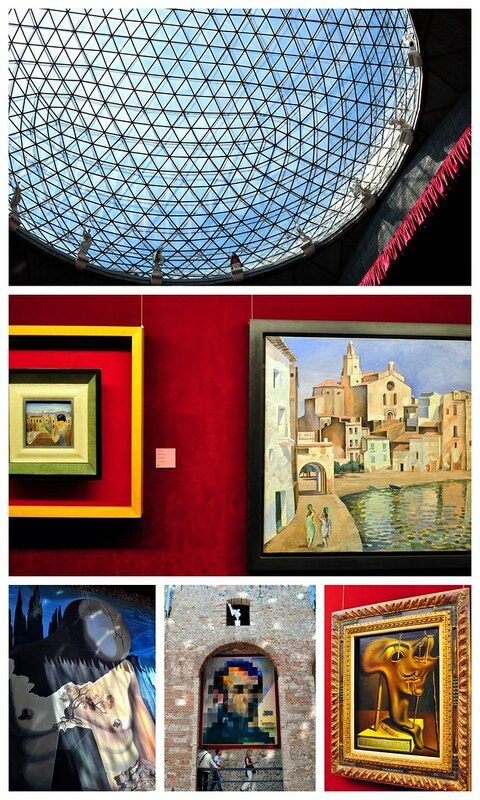 Prior to visiting the museum, I was only familiar with Dalí as a surrealist painter. I learned this afternoon that his body of work was quite diverse. In addition to paintings from all decades of his career, the museum housed Dalí’s sculptures, three-dimensional collages, mechanical devices, and other curiosities from his imagination. 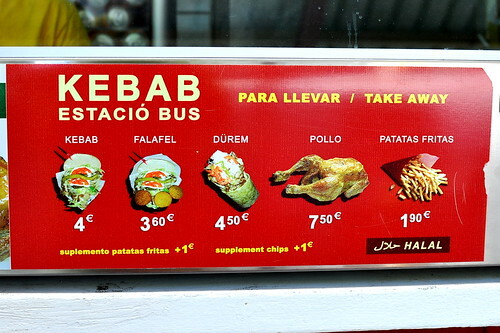 Before boarding the train back to Barcelona, we stopped by a doner kebab stand located in the Figueres bus station for lunch. While I loved the local Spanish cuisine, I found myself craving these meaty sandwiches every couple of days during our travels. After indulging in extravagant molecular gastronomy feasts and other elaborate meals on the town, it was just the thing to reset my palate and wallet. This one was piled high with thin shavings of lamb, shredded iceberg lettuce, tomatoes, pickled peppers, and cornichons and slathered with a creamy yogurt sauce. 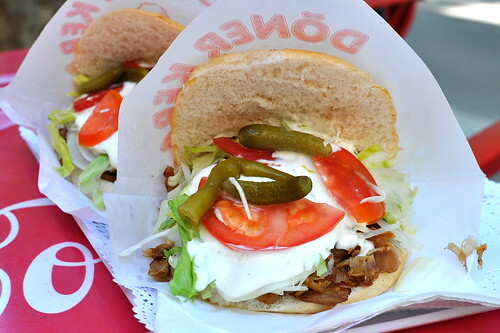 The doner kebab is my second favorite sandwich, right behind the beloved banh mi. The Astronomer and I arrived in Barcelona around dinner time. We tried to snag a table at Bar Inopia, but failed miserably due to lack of reservations. Instead, we stopped in a random tapas bar called Raco de Manso (Calabria 25, Barcelona, 08015) and ordered all of our favorite dishes. 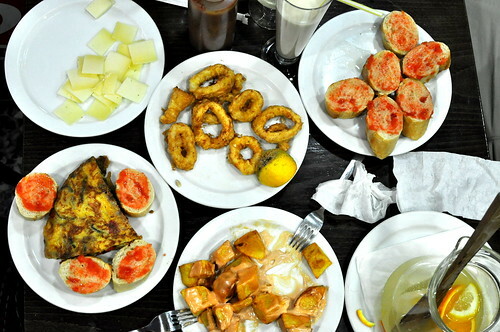 Our final feast of small plates included Manchego cheese, crispy calamari rings, tomato bread, Spanish omelet, patatas bravas, croquetas, and of course, a huge pitcher of cava sangria to wash it all down. Gah – I’ve been wanting to go to Inopia too but their website seems to say that they’ve closed?! Manchego is my favorite cheese. It’s been fun going with you through your trip to Spain! Oh wow yum. I want that croissant. And that shaved lamb. Seems like you were in Spain for a century! Dalí was indeed a mad genius! That gallery would have mesmerized me for days. 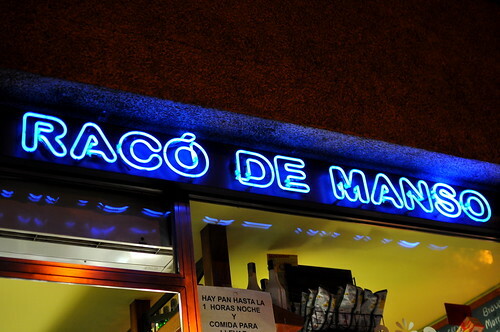 You guys really did do Spain the right way – no doubt about it. Thanks for sharing your awesome trip with us. It’s been fun to follow along. I love the giant eggs! I love Dalí. I think I’d like to read about him. 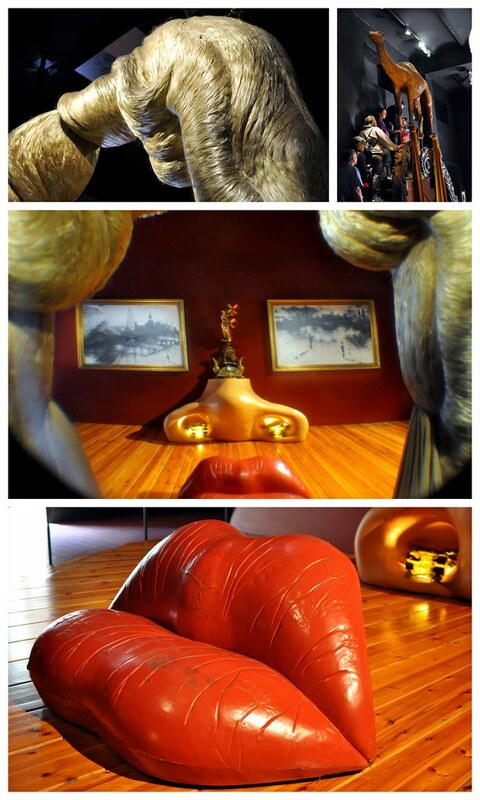 Dali is awesome. So too seem that doner kebab! Nice post, good images, thank you.